On May 5, 1961, Astronaut Alan B. Shepard Jr. became the first American in space, launched aboard the Freedom 7 Mercury capsule. 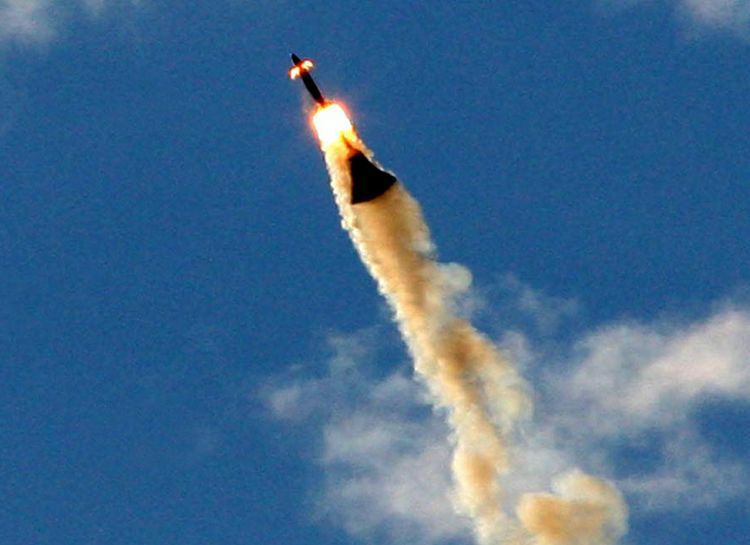 The suborbital flight propelled Shepard 116 miles into the atmosphere and lasted approximately 15 minutes. This event kick-started America’s future as a space fairing nation, thus, it’s only fitting the anniversary of this significant date in history is used to celebrate all astronauts. Dubbed National Astronaut Day by Uniphi Space Agency, today is a day to celebrate space exploration and those who make it possible: our astronauts. 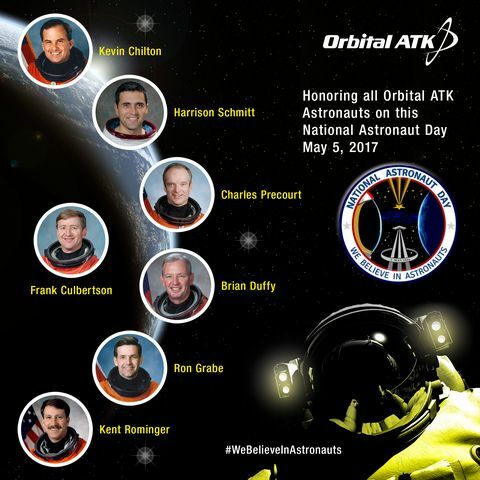 Watch below: Orbital ATK's astronauts wish you a happy National Astronaut Day! At Orbital ATK, we are committed to pushing the boundaries of space while continuing to routinely provide for and protect our astronauts. 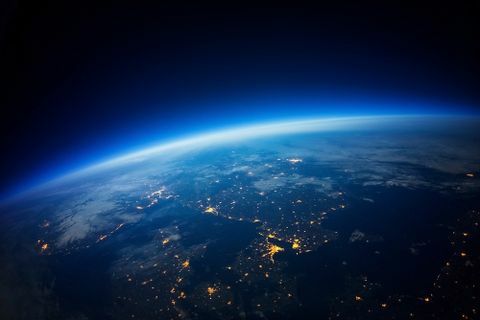 Take a look at how our products are helping to shape the future of human spaceflight and space exploration. 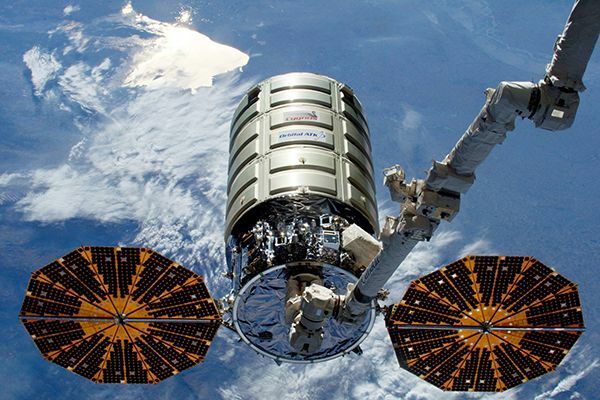 Orbital ATK is one of only two commercial companies in the world providing cargo resupply services to the International Space Station for NASA. 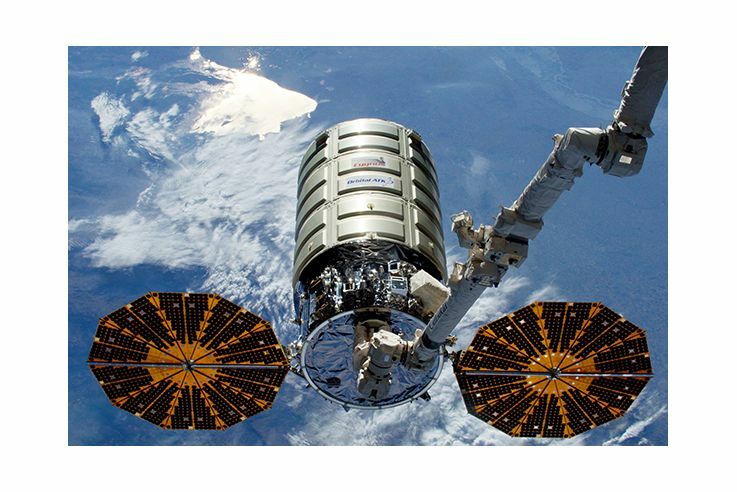 Our Cygnus spacecraft is designed to bring essential supplies, cargo and science experiments to astronauts aboard the station. To date, we have conducted seven cargo delivery missions under the Commercial Resupply Services (CRS)-1 contract with NASA. The advanced maneuvering Cygnus spacecraft is designed to perform autonomous operations and rendezvous with other space vehicles. This technology, together with Cygnus’ modular design that enables it to carry a variety of payloads, makes it an ideal platform for human space exploration and opens up potential for Cygnus to be adapted as a cislunar habitat in the future. Orbital ATK's Antares rocket is used to launch the company's Cygnus spacecraft to the International Space Station. The two-stage rocket provides low-Earth orbit (LEO) launch capability for payloads weighing up to 8,000 kg. 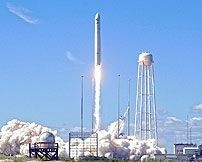 Internally funded by Orbital ATK, Antares completed a risk reduction mission and a demonstration of commercial re-supply services for the International Space Station (ISS) under a NASA Commercial Orbital Transportation Services (COTS) agreement in 2013. To date, the launch vehicle has completed five successful missions and will conduct five additional missions through 2018 to fulfill the company’s CRS-1agreement with NASA to deliver supplies to the ISS. Orbital ATK recently was awarded the CRS-2 contract which includes at least six missions starting in 2019. 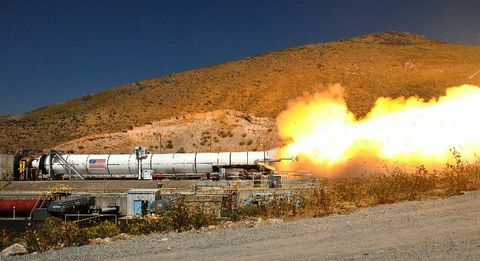 Orbital ATK developed the two five-segment rocket boosters for NASA’s Space Launch System (SLS), a heavy-lift rocket designed to enable exciting new deep space exploration missions. The boosters for the first flight are currently undergoing completion at Orbital ATK's Promontory, Utah, facility, and will be shipped to NASA's Kennedy Space Center for integration. SLS will launch astronauts aboard NASA’s Orion spacecraft on deep space missions in the coming years, and the first test flight of SLS and Orion together will be known as Exploration Mission-1 (EM-1). 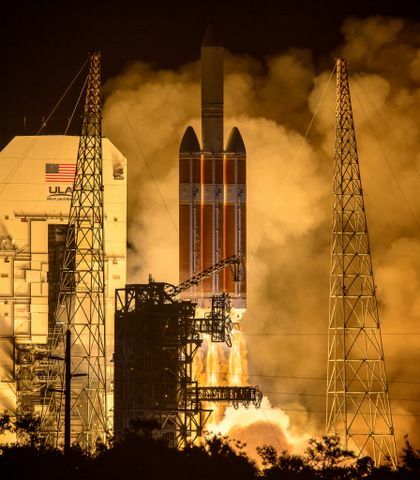 Orbital ATK is responsible for the design and production of two motors for the Launch Abort System (LAS) for NASA's Orion spacecraft. The LAS provides an added level of protection for our astronauts during launch. If something goes wrong during a crewed SLS launch, the LAS will use the main abort motor to lift Orion away from the launch vehicle, while a smaller but extremely powerful Attitude Control Motor (ACM) orients the capsule into the proper position for its chutes to deploy safely. 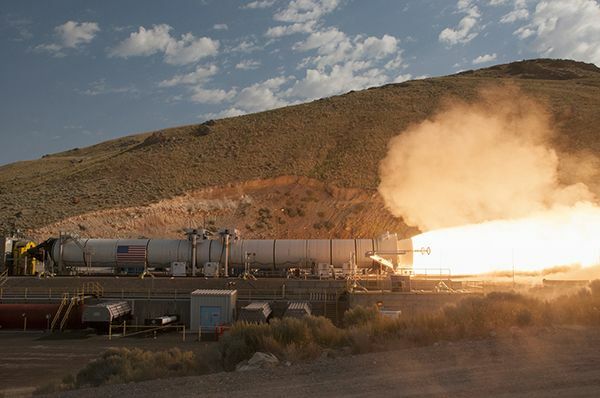 The launch abort motor is manufactured at Orbital ATK's facilities in Magna, Promontory and Clearfield, Utah, and the ACM is designed and built at Orbital ATK’s Upper Stages and Controls facility in Elkton, Maryland. Read more about National Astronaut Day here.